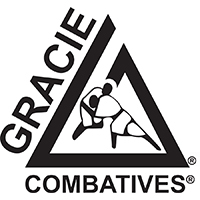 Gracie Combatives is our beginner program for adults interested in Martial Arts in Watford. In this program, you will learn the 36 core techniques of Gracie Jiu-Jitsu in a fun, safe, and cooperative environment. Each one-hour lesson addresses one standing and one ground self-defence technique. You can start the program at any time and participate in any class without previous experience and, since safety is our number one concern, there is no competitive sparring in this program. Upon successful completion of the Gracie Combatives program we will promote you to Gracie Jiu-Jitsu Blue Belt and you will qualify for advancement to the Master Cycle program. Once you complete each of the Gracie Combatives lessons three times, and you’ve completed at least 12 Reflex Development Classes, you are eligible to test for promotion to Combatives Belt! We will administer a 30-minute test to assess your ability to execute the 36 essential techniques individually and in combination. If your performance meets Gracie University standards, you will qualify for promotion to Combatives belt and you will be allowed to attend our advanced Gracie Jiu-Jitsu program, the Master Cycle. After 6 months and 60 classes of attending the Master Cycle you will be awarded your Blue Belt. There will also be a calendar published each month on this website so you know exactly which techniques are being taught at the different classes that month. Street Jiu-Jitsu and Sport Jiu-Jitsu – What’s the Difference? In the beginning, there were no tournaments associated with the practice of Gracie (Brazilian) Jiu-Jitsu. The dangerous and unforgiving “street” fight was the only testing ground. In 1967, the first Federation of Brazilian Jiu-Jitsu was established in order to give practitioners the opportunity to test their skills in a safe setting. The fun and excitement of competition, coupled with the prestige that accompanied tournament victories, drove the vast majority of instructors to focus entirely on preparing their students for the jiu-jitsu game. This shift away from jiu-jitsu for self defence had a profound impact on the practice of the martial art. The Gracie in Action Documentaries feature countless challenge matches that the family had that prove Gracie Jiu-Jitsu’s effectiveness; not only against other martial arts, but to average person interested in learning to protect themselves.